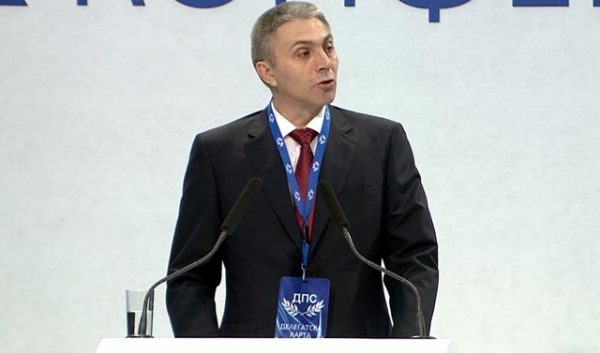 The national conference of the Movement for Rights and Freedoms appears set to elect one of its current acting co-chairpersons, Mustafa Karadaya, as the party leader. Apart from several media reports ahead of the April 24 conference saying that MRF founder and honorary president Ahmed Dogan wanted Karadaya named as party leader, one of the foreign guests at the conference, ALDE president Hans van Baalen, also seemed to regard the election as a foregone conclusion, referring to Karadaya as “your next president” some hours before the election was due to be held. The leadership election is a sequel to the melodrama in the MRF in late 2015, when Dogan deposed then-leader Lyutvi Mestan over what Dogan called Mestan’s “gaffe” in publicly backing Ankara in its dispute with Moscow over the downing of a Russian jet by Turkey in Syrian airspace. 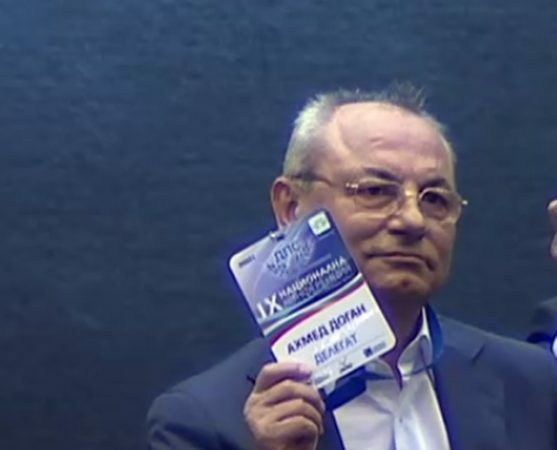 Mestan, who was elected leader of the MRF at its previous congress in January 2013, has gone on to form his own party, DOST, accompanied by a few MRF figures who left the party with him after his ousting from the leadership and all party posts. After the deposing of Mestan, a triumvirate was named to take stewardship of the party leadership posts pending the holding of the national conference. In the very first few minutes of the congress, which is being attended by Dogan – in his first appearance at a public event for a few years – MRF stalwart Yunal Lyutvi attacked Mestan’s DOST as a party with no vision and no plan. Being attended by about 900 delegates, the party conference gave ovations to Dogan, who sat in a VIP spot on the side of the hall, not on the stage nor in the front rank of seats. Notwithstanding the expected election of Karadaya to the post of party leader, reports said that the conference would widen the powers of the honorary president, formalising what no one doubts to be the pre-eminent place of power that Dogan occupies in the party that he founded. In the first stages of the conference, Karadaya was given prime spot, out of the three co-leaders, to deliver the political report covering the years since the 2013 conference. That conference had been notable for not only the handover of the post of the leadership of the party, that is led and supported in the main by Bulgarians of Turkish ethnicity, but also for an incident in which a man rushed on stage towards Dogan, wielding a gas pistol. In a lengthy address, Karadaya recounted the past years, which in Bulgaria have seen five governments, three parliaments, four elections and two referendums. He referred to the 2013 protests against the “Oresharski” government, in which the MRF played a key part, but omitted the fact that the catalyst for them was the abortive appointment of controversial business person and MRF MP Delyan Peevski as head of the State Agency for National Security. Observers at the congress noted that Peevski did not appear to be present. Prime Minister Boiko Borissov said in recent days that Peevski had left the country. Karadaya described the 2013/14 anti-government protests as, in his version, presented as civil protests but in which there had been “active participation” of then-opposition parties. He added sideswipes at DOST and depicted Borissov’s current government as failing to live up to its promises. On Dogan’s behalf, a message was read out to the conference, saying that the past 25 years had “showed that the MRF was a strategic investment in stability and peace in Bulgaria”. Maintaining and using this political capital would yield dividends in freedom, Dogan’s message said. The congress is being attended by, apart from representatives of the ALDE and Liberal International organisations of which the MRF is a member, representatives of the Bulgarian Socialist Party, minority socialist breakaway party ABC, the National Movement for Stability and Progress that was founded around Simeon Saxe-Coburg and with which the MRF previously was in government, and minority party the Bulgarian Democratic Centre. Also present were a significant number of MPs from Turkey and mayors of Turkish towns. The presence at the congress was announced of diplomatic representatives (no ambassadors, though), from the embassies of the United States, Russia, the UK, Poland, Macedonia, Japan, Algeria, Azerbaijan “and others”. There was no reference to the Turkish ambassador – who 14 days earlier had been present at the launch congress of Mestan’s DOST party.